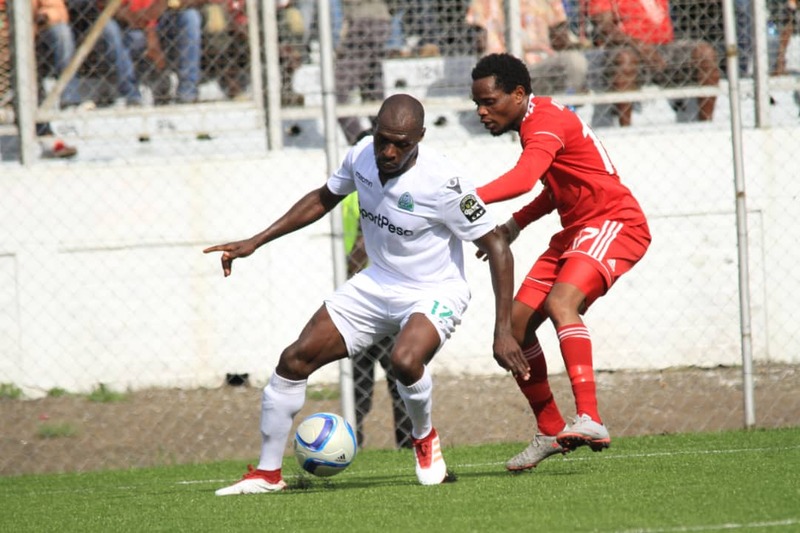 Gor Mahia are through to the next round of the Africa Champions league after eliminating Nyasa Big Bullets. This after they won a penalty shootout against the Malawian League leaders by a score of 4-3. 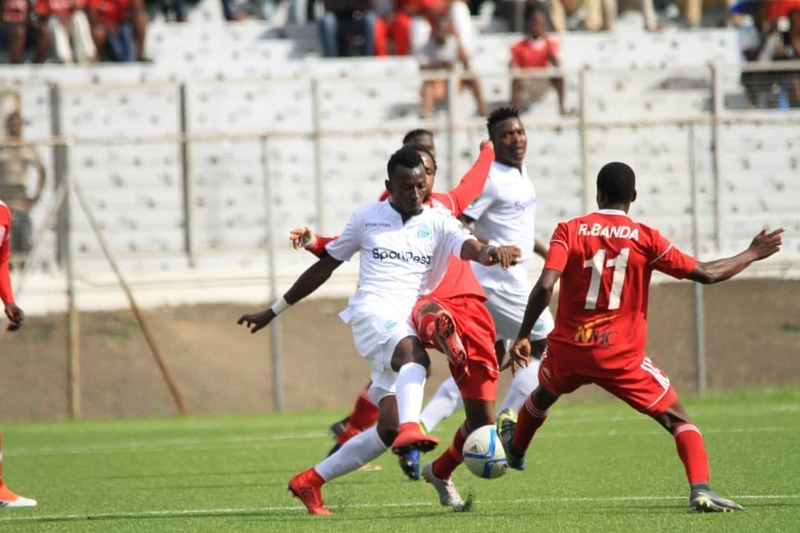 The match had ended in 1-0 in regulation in favour of Bullets. It is a repeat of 1977 when Gor Mahia eliminated Yamaha Wanderers of Malawi, beating them 5-3 on post match penalties in Blantyre. 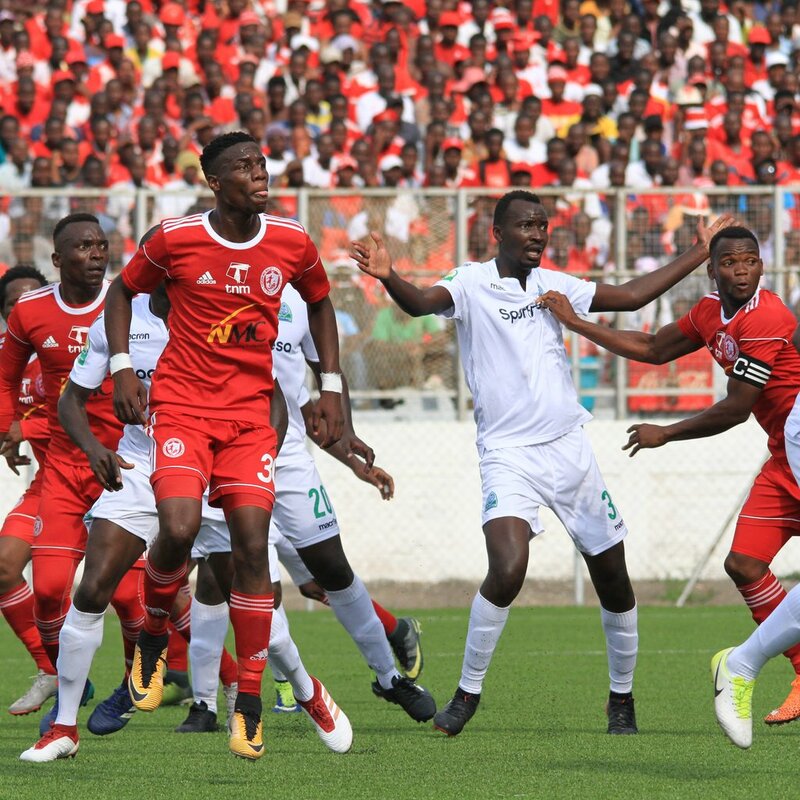 The much maligned Boniface Oluoch turned hero, saving a Chiukepo Msowoya penalty in the 87th minute that would have eliminated Gor Mahia, and saving another during the shootout. Ondiek was a hero again, scoring the first penalty. Boniface Omondi, Humphrey Mieno and Harun Shakava also scored from the spot. For the Malawians, Msowoya, Lanjesi and Fodya scored. Gabeya’s kick was saved by Oluoch. Pilirani’s shot was off target. Zico was destined to do the job. congratulations once more but 3 games , 1 goal. Am not sure whether to celebrate further or to be sad ! what is the criteria for being employed as a striker in Gor mahia. someone enlighten me on why blackberry and mustafa continue to enjoy impunity ? Who is this Jakoyo?!! I want to campaign to know this barstard! Always negative, Do u have responsibilities???? I simply said what made the Nyasa team captain to say that they knew how they would beat Gor. If it did not work out in the first leg in Nairobi, what would make it work in the second leg. Thank you for beating them in their own backyard. Kogallo oyeeeeeeeeeeeeee. Thanks Bro. Not the other silly guy. Congratulations to the team. @jakoyo we all share the concern.However,I want plead with you and the rest fans to patient with the team.I understand that the Malawian PL season is still on while ours starts next weekend. Their fitness levels (BATA) was incredibly high. The boys will gel within the next few weeks.I thank God for this victory. Pongezi kwa vijana wetu kwa kazi nzuri na matokeo mema ingawa bado tumekosa washambulizi stadi.Special thanks to Oluoch in particular for enabling us to move to the next round. To All Know-it-alls on this site just give our players n TB a break! Direct your fristrations to the relevant persons. Where is Gor mahia player? He said that they are going to allow easy goals and was talking of 4 goals…. All the same boys you made us happy. If you are truly a Gor Player can you confirm whether or not the Nov18 players’ salaries have been paid! I really hate it when fake fans predict doom and gloom for kogalo and then sit back and pray that their prediction comes true so that they can have their “I told you so moment”-well sorry for your disappointment , we won ugly but any professional will tell u that sometimes u just have to win like that , as for the petty canine on this wall posting rubbish supposedly from Blantyre , he reminds of its owner who is a long serving member of this wall who a few years ago was purpotedly posting updates about our match in west africa while in essense he was in Dandora -we must learn to separate our feelings about individuals in the club from the team , dont wish ill for the team bcoz of your difference with some individuals. Congrats team; congrats Bonny. You have made us proud. I still believe the team will improve with time. I hope and pray that the strikers start scoring goals. Bravo team Kogalo. Glory Be to God. Lobi stars of Nigeria Qualify 2-1 aggregate. Those are Gor Mahia next opponents. Thx for sparing us the shame of a first round elimination. Now we can eye the kes.55m CL or at least the kes.27.5 CC group stages. Work on Jausenge’s injury, Kahata & Muguna decide either you play for GM or just ship out now.GK Fred is still safer bet! Beautiful, beautiful. Congrats boys. Just a little polish and we will surely be where we want. One thing i learnt some time back is to respect our scouts. I believe the players we are busy killing on social media will come good. That’s how we have dominated locally for many years. I watched the game and realised Bony’s ball distribution is better than all our keepers. He makes a few errors in judgement but i think he is our best bet for now. I also realised we have a new coach already working. Karibu Oktal to mayienga. Winning the league and beating Ingwe are bare minimums, now add Bandari to the list. This guy is not a Good Mahia player. He is Benson Disi. This guy is not a Gor Mahia player. He is Benson Disi. Jasego,when is the is the first leg?Are we starting at home or away? Why do some reporters as Lucky Gor mahia? ?? Wuod Suba..those are Gor haters. There are people hell bent on not seeing any thing good about Gor Mahia.They only dwell on negatives.Washindwe! I’m happy with the progress. Just keep on pressing hard. Jasego,U can’t remember the last time Gor started away.What criteria do the organisers Use?Lobi stars started away against the Cameroonians. Now they are starting away again. Jasego,I can’t remember the last time Gor started away.What criteria do the organisers Use?Lobi stars started away against the Cameroonians. Now they are starting away again. This person calling himself Gor Mahia player is actually Benson Disi. The man posing here as Got Mahia player is actually Benson Disi. @BB please shed more light on this crooked shadowy character you have unearthed as Benson Disi…who the hell is he in Kenya here and what does he do? Is he a conman or thief? Is Innocent Wafula still available ama aliuzwa kichini chini ? That guy should partner with Berry at the flanks as we continue hoping we can do without strikers in a team.Wafula is a game changer and a true fighter.Mustafa is a scam . This is utter madness. Why is he being released? The few games this season has shown Philemon is only good defensively. The last few games he played last season showed that Wellington is a pale shadow of his former self. There are so many fools in this world!!! BREAKING…as shared last week, Gor Mahia’s Innocent wafula who was on the watch list, finally is released. The same is expected of joachim Oluoch who is set to follow suit next week. It is with great sadness that Gor fraternity is set to lose the young hardworking humble boy called innocent wafula,Aduda is bragging of Wellington, Ogweno and Philemon who can play the same position as Wafula. Those guys can’t match Wafula’s overlapping runs only comparable to Karim. Anyway best of luck Innocent, may God guide as you persue your future endeavours wherever. If we keep positivity like we are today…we will win the league and make it to group stages. Thanks all and God. i dont really fear about the local league, that one is done and dusted. Gor Mahia will scrap through it and win it. Players will gell in the coming three or four league matches. What concerns me is the CAF competitions. Our attackers are currently blunt and overrated. When Lobi stars come here I would like to see Francis Mustapha and Erisa Ssekisambu run and attack until they get heart attacks in the field. It is only then that I will be convinced that they have given their 100% for the team. On my part as a fan is just to buy a ticket come to the stadium and make so much noise.